Comfort, control, and durability are the three crucial things that softball players consider when shopping for a glove. 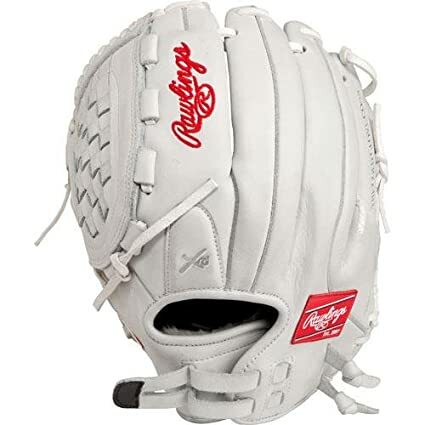 Rawlings takes all of them into account when making The Liberty Advanced and so it is a very high performing glove. It features full-grain leather shell for durability, but the company does 80% of the break-in to make it game-ready when you get it. This glove also has a Paron XRD Palm, Index Finger Pads and some All Leather Laces. It also has an adjustable and non-slip pull strap for adjustability, and it comes in an appealing white/red colorway. 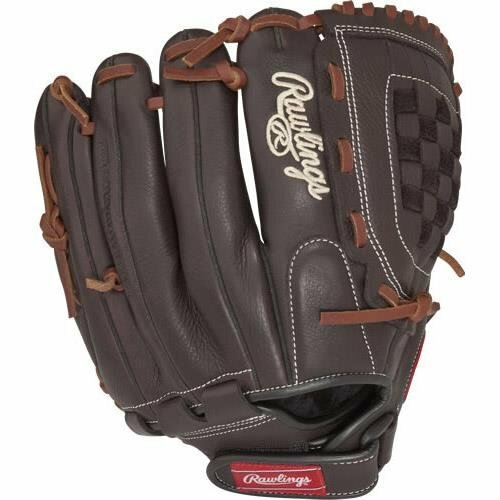 Material: Rawlings makes this glove with a full-grain leather shell for maximum durability. The outer shell is also oil treated to make it soft for minimal break-in time. In fact, the company does up to 80% of the break-in in the factory to make it a game-ready glove. 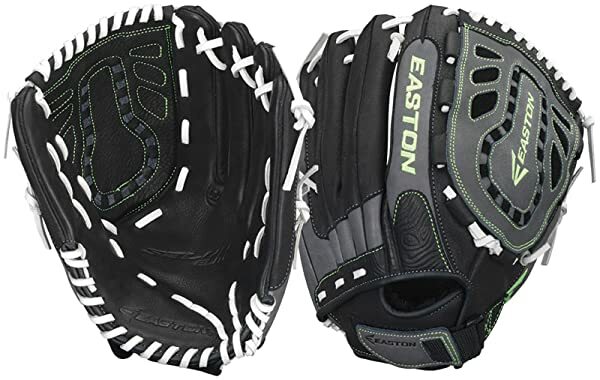 This glove also features some all leather laces for shape retention and also to enhance durability. Size: It is a 12-inch women’s model glove, but you can also get it in others such as the 12.5-inch. However, the 12-inch model will be the best choice for most female infield players. Adjustability: You can always be sure of a comfortable and custom fit when using the Liberty Advanced. It comes with an adjustable and non-slip pull strap that makes it easy to customize the fit. Paron XRD Palm: The Paron XRD Palm combines with the Index Finger pads to provide maximum protection for players by decreasing the sting that comes from catching balls. 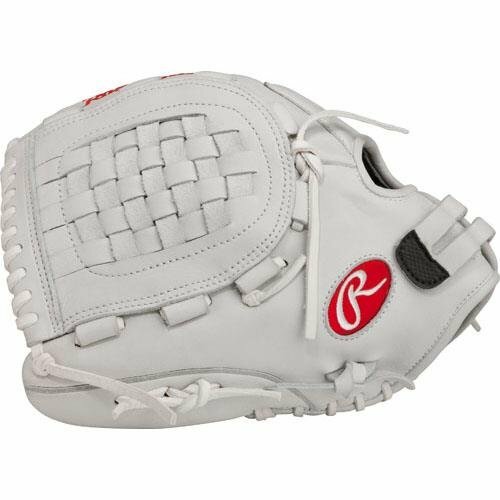 Hand Orientation: Rawlings always caters for all types of players when making their softball gloves and so this one is available for both left and right-hand orientation. Colorway: The Liberty Advanced comes in an appealing white and red colorway that will look fantastic in the hand of any female infielder. It is a game-ready glove that will require little break-in. The full-grain leather shell makes it very durable. You can adjust this glove for a custom and comfortable fit. All the laces are leather to enhance shape retention and increase durability. It uses a unique palm design and index finger pads to minimize sting. The pocket is nice and deep enough. This glove has a female-specific design, and so it will fit their hands correctly and also provide excellent control. The signature white/red colorway provides an aesthetically appealing look. The white color gets dirty squickly, and it is also prone to staining. Players will also not have many colors to make their pick. 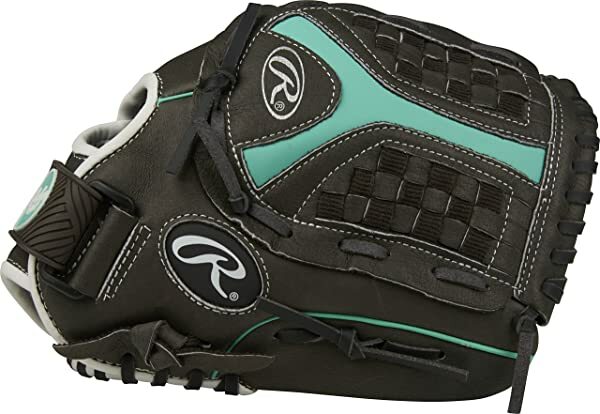 Rawlings makes the Liberty Advanced Series with the female players in mind. Everything from the size to the design is meant to provide maximum comfort and excellent control for female players. Despite this being a medium price range glove, it is still one of the most durable and high-performing. It will even outlast many others that are double its price. 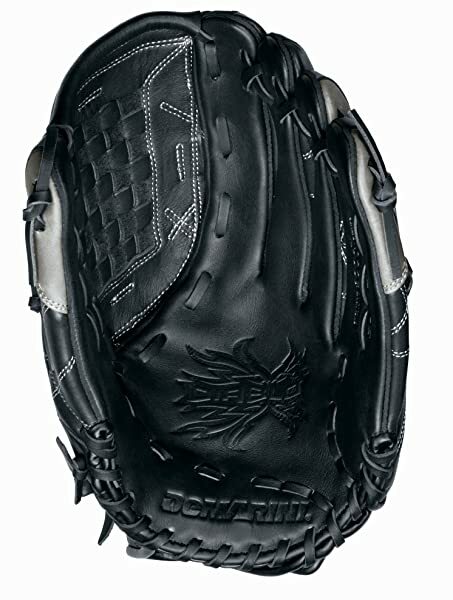 And so if durability is your primary concern this is the best softball glove for you. But there are still many other positive elements about it such as the fact that it requires minimum break-in and that it does not sting. And with almost no demerits at all apart from the bright color being prone to staining this is a top-notch softball glove. 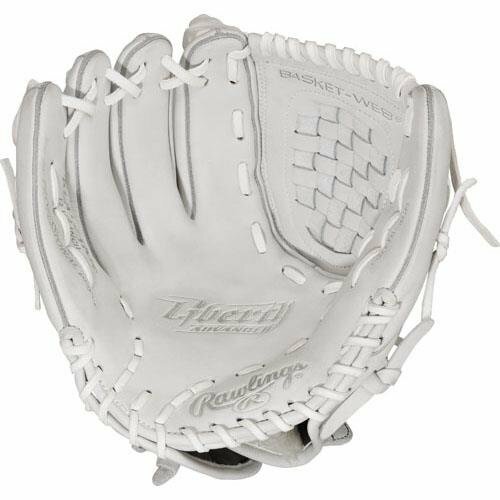 If you are looking for a game-ready glove that you can use for several seasons, the Rawlings Liberty Advanced is one of the best choices in the market.